We have a very clear bespoke philosophy, explained here which fully outlines our commitment to you when planning your trip to a great day at the races. Why not link your trip to the outstanding spectacles that are the French Derby (Prix de Jockey Club) or the French Oaks (Prix de Diane), guests are adding to their racing experience with a day in Paris, a trip to the chateaus of Champagne, a theme park trip or a tour of the battlefields of World War 1. Prospective guests ask us to create their bespoke Race day tours for many different reasons, the most common is not knowing the area they are visiting, a fear of driving abroad or of the different language, the challenge of arranging travel and accommodation abroad or simply to utilise our years of knowledge and experience to maximise the time available, these are very common challenges whether a seasoned European traveller or not. This tour was for two couples who enjoyed the big racing occasions, York, Cheltenham and Ascot to name a few, they wanted to experience group 1 racing in France and celebrate a wedding anniversary. The couples were collected as they arrived at Zeebrugge on the overnight ferry from Hull. The day started in the beautiful city of Bruges with a walking tour. We travelled to Ypres salient for the afternoon, with the day culminating with a visit to the Menin gate and the moving "last post" ceremony. For day 2 we headed to Le Touquet, referred to as Paris by the sea, with its reputation as the most elegant resort in Northern France. A day of relaxation was planned with miles of sandy beaches, great shops and a vast array of beautiful sea food restaurants. After a leisurely breakfast we set off for Chantilly racecourse to enjoy a day of group 1 racing. It is breathtaking, arriving in this majestic setting with the chateau as a backdrop, making this one of the world's most beautiful racing locations. After a Champagne picnic we settled down for a day of top class racing. We returned to Freeman Farm for Dinner. In the morning we visited the historic Great War sites of Thiepval, Newfoundland Park and Lochnagar Crater before heading to Lille for an afternoon of sightseeing. We returned to Zeebrugge for our guests to rejoin their ship for the overnight cruise home. 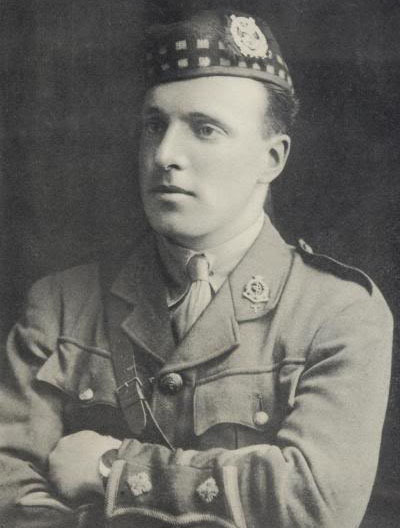 Capt Noel Godfrey Chavasse VC and bar, MC, Is the only man to win 2 V.Cs in the great war and one of only 3 ever to win VC and bar.